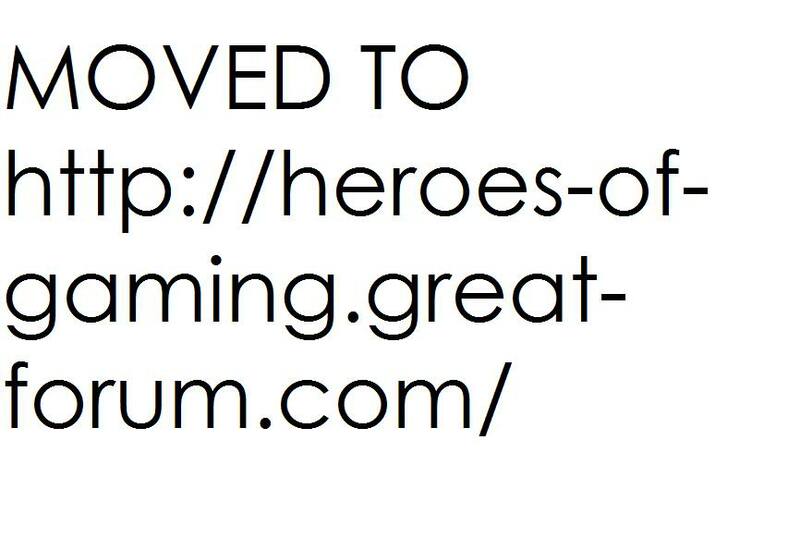 MOVED TO: http://heroes-of-gaming.great-forum.com/ » News Area » News » Recruiting is Open again! After one year, and three months after the last official tryouts, they are once again being made available to the general public. If you have any queries on whether you can tryout etc. Ask myself and I will explain the rights to you. As HoRH, you can also recruit normal members, just not WR. "Re: Recruiting is Open again! Today at 6:09 pm"
"Last edited by HoR_King_Hades on Wed Jun 13, 2012 6:24 pm; edited 1 time in total"
5 Re: Recruiting is Open again!